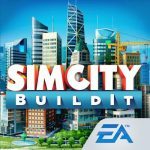 Although, it’s not SimCity in its truest, purest form, SimCity BuildIt is a legitimate mobile version of the popular game, as it’s also developed by Electronic Arts. 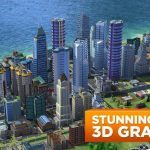 Like the SimCity titles you know and love, SimCity BuildIt allows players to create their own three-dimensional city and manage their city’s residents, may it be online or offline. You’ll also get a chance to unlock historical landmarks like Big Ben and the Arc de Triomphe, deal with natural disasters and other unexpected events. At the end of the day, make sure that your citizens are happy, contented and receive everything they need. But what would be the best strategies to this end when you’re playing the game on mobile? How do you create the best possible city out there? 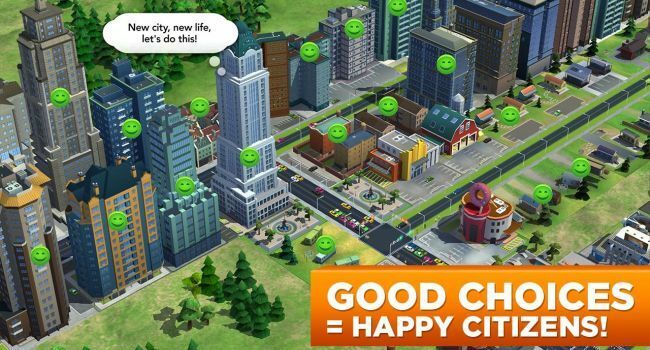 We’ve got a SimCity BuildIt strategy guide and a few tips to share with you right now, and we hope they’d be of help. You don’t want the buildings you create to go idle – be sure that they’re always working, because that’s where the goods for your citizens will come from. Once you’ve got your buildings working round the clock, that’s going to get you ready for potential upgrades or transactions. 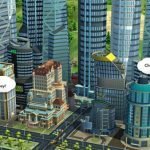 When you see a coin appearing above your buildings, that’s your cue to tap on it – this would allow you to take part in a deal, where you’ll be asked to provide certain items in exchange for gold, or, as it’s called in the SimCity universe, Simoleons. At times, Simoleons will be very hard to come by, which makes it important to take advantage of a deal if the opportunity arises. Although, optimizing your city’s production levels is important, you wouldn’t want to expedite this unnecessarily by spending Sim Cash for that. Instead, you should use your Sim Cash on increasing store capacity, as that’s where items take particularly long to manufacture, yet cost more than items produced elsewhere. Tap on the icons located right above your residences and you’ll see how happy or disappointed they are about certain things. This should allow you to monitor their needs closely, and also give you an opportunity to get special items needed for upgrades. Regardless of what type of service, check the Build menu regularly and see what the demands are. And once you’re aware of this, you should always ensure your capacity meets or exceeds the stipulated requirements. 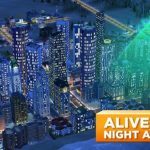 Though, we’ve offered you a lot of tips regarding Simoleons, Sim Cash, and other resources, you should never forget the primary objective of SimCity BuildIt – the larger your population, the more successful your game is, and the more items you can unlock. If you want to increase your city’s population, you’ll have to keep building residences and upgrading existing ones. Keep your city happy by offering services and keeping them amused with parks and other establishments. Once your large population is happy, that’s going to mean more money in your coffers, straight from the City Hall.